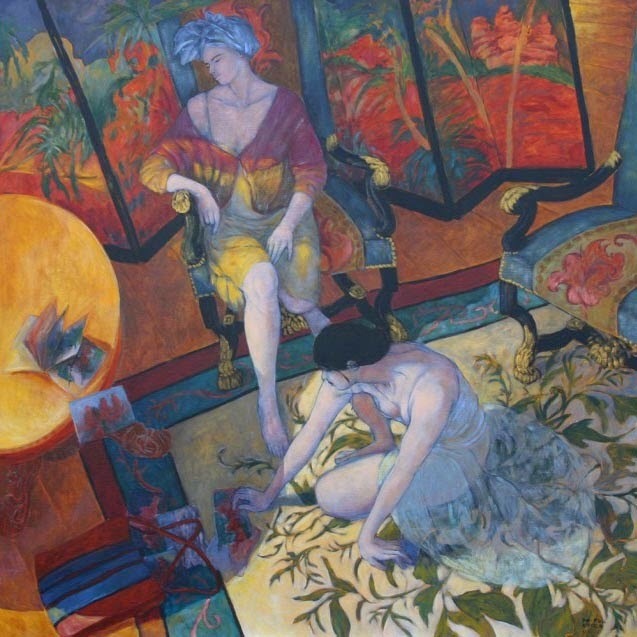 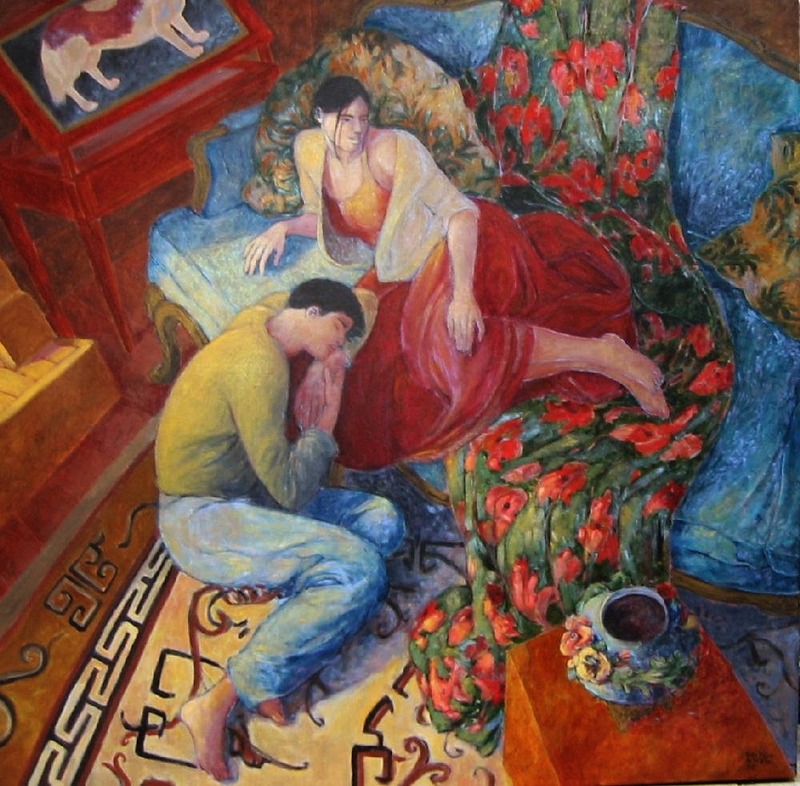 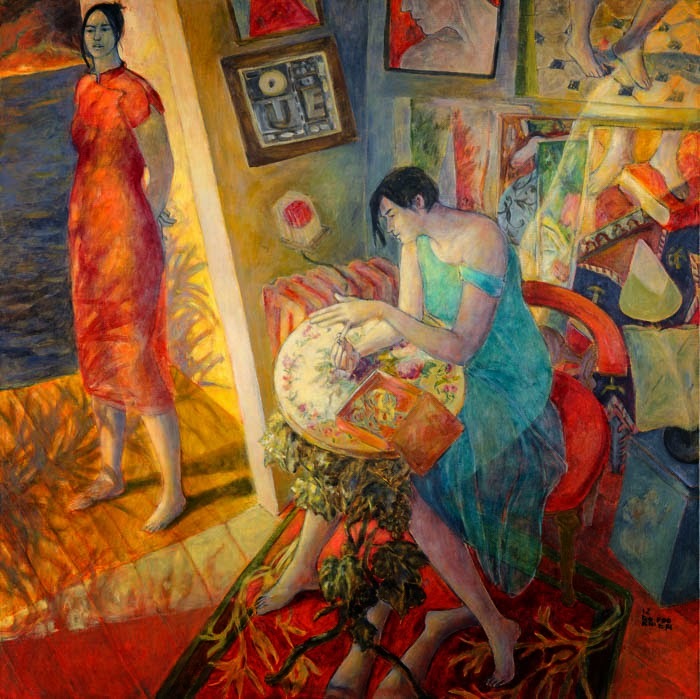 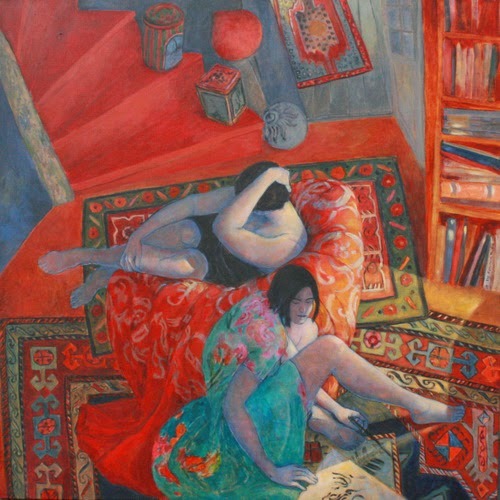 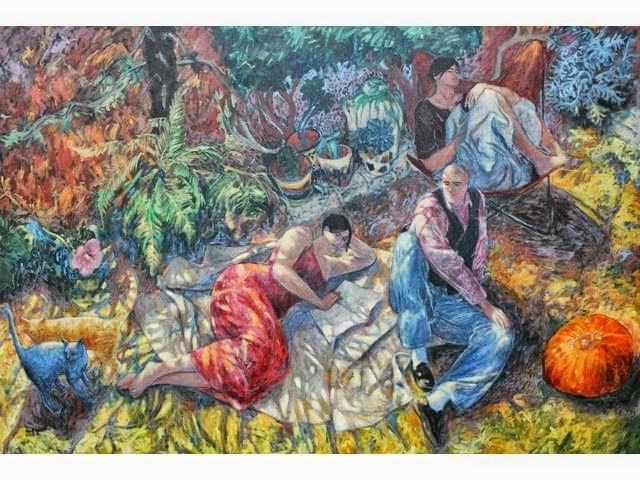 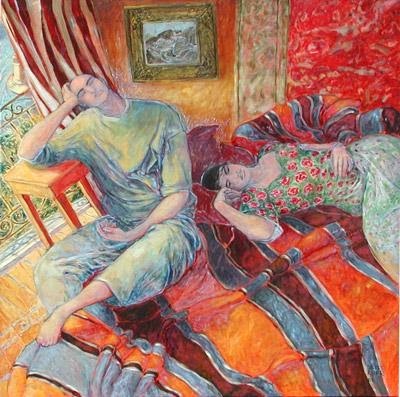 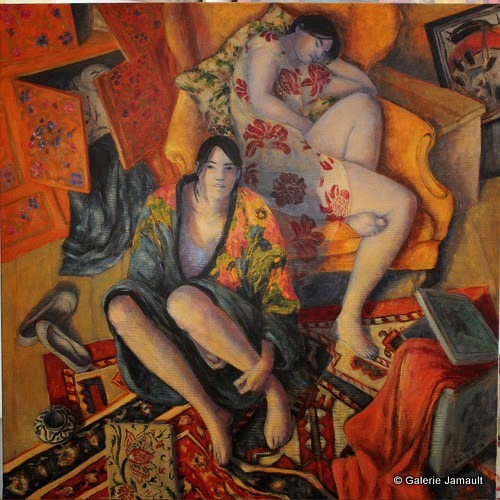 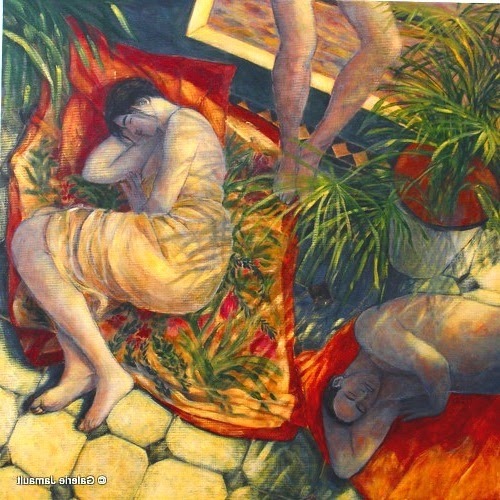 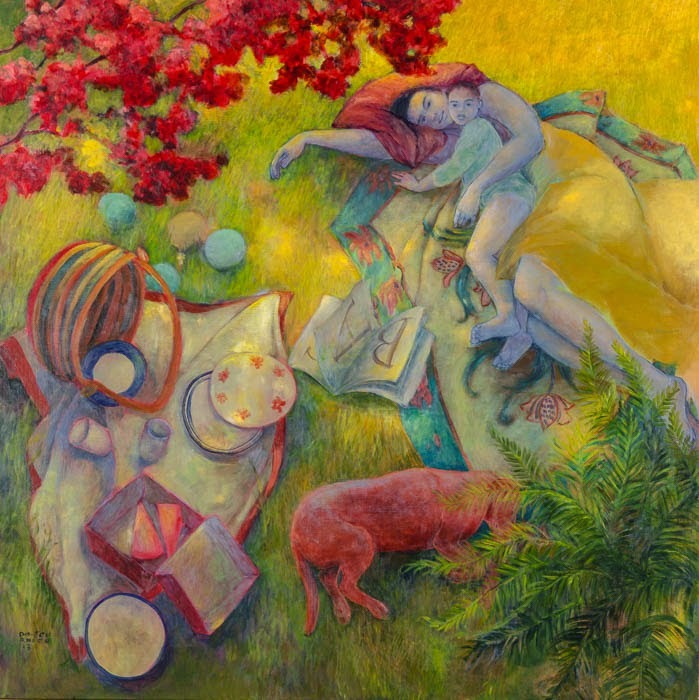 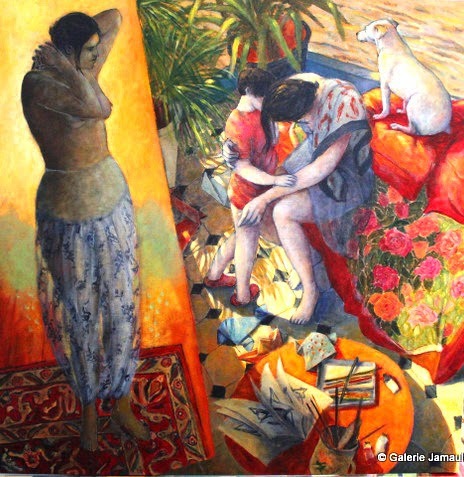 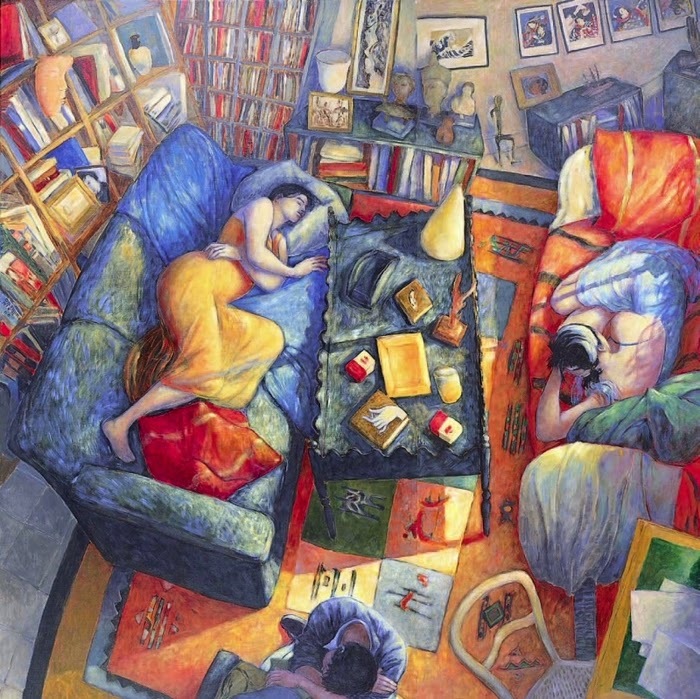 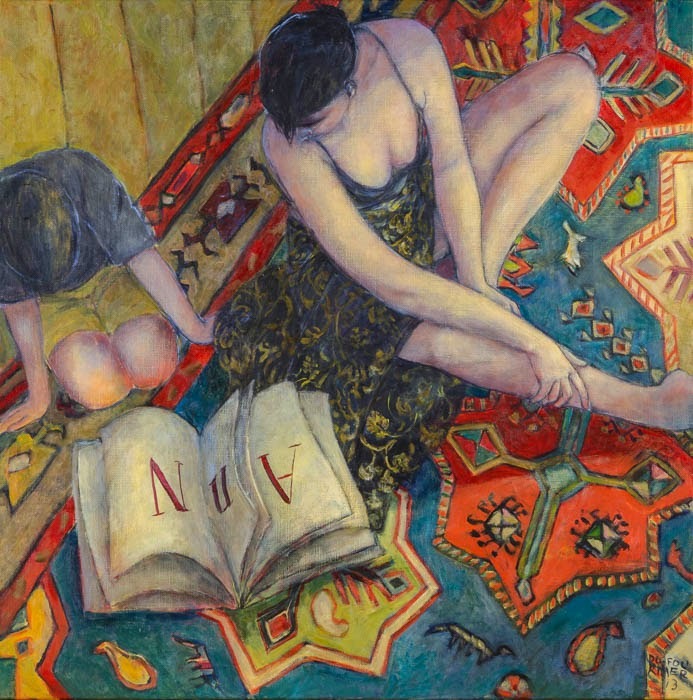 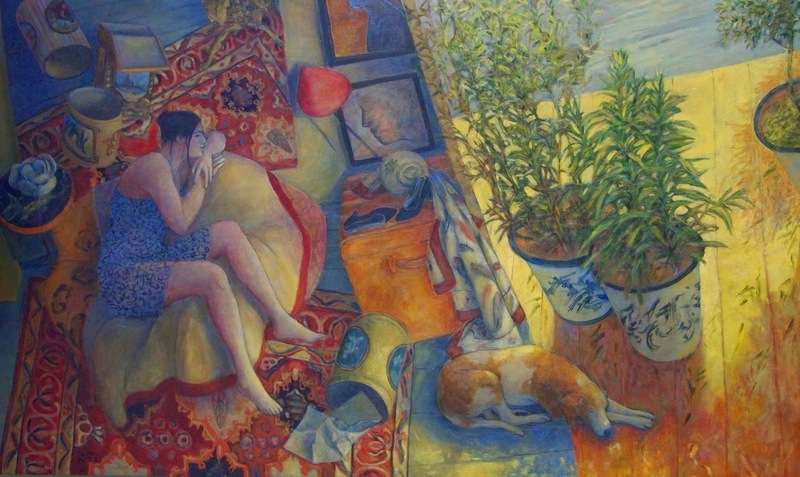 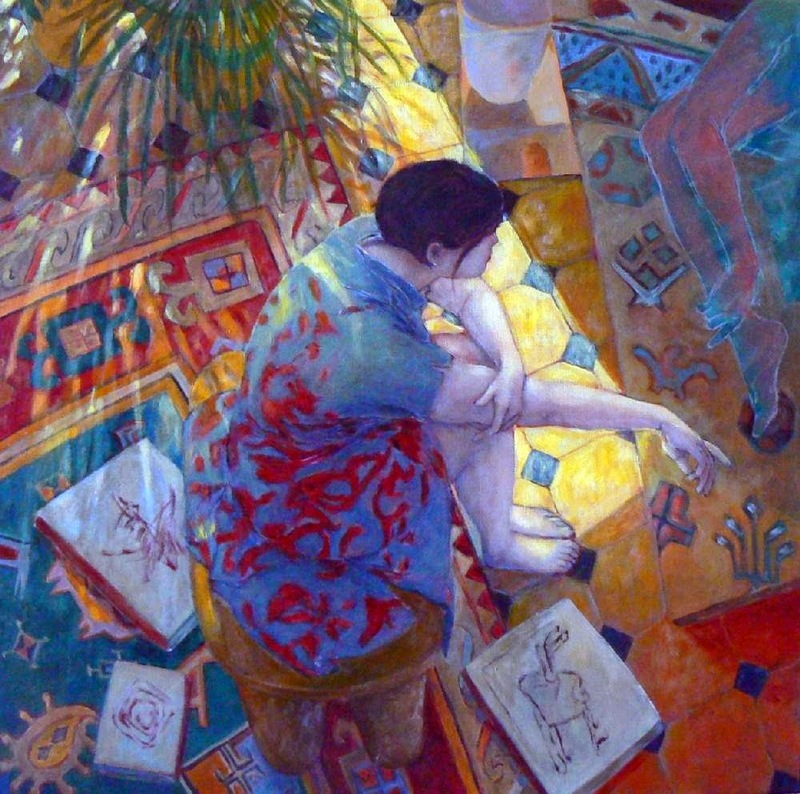 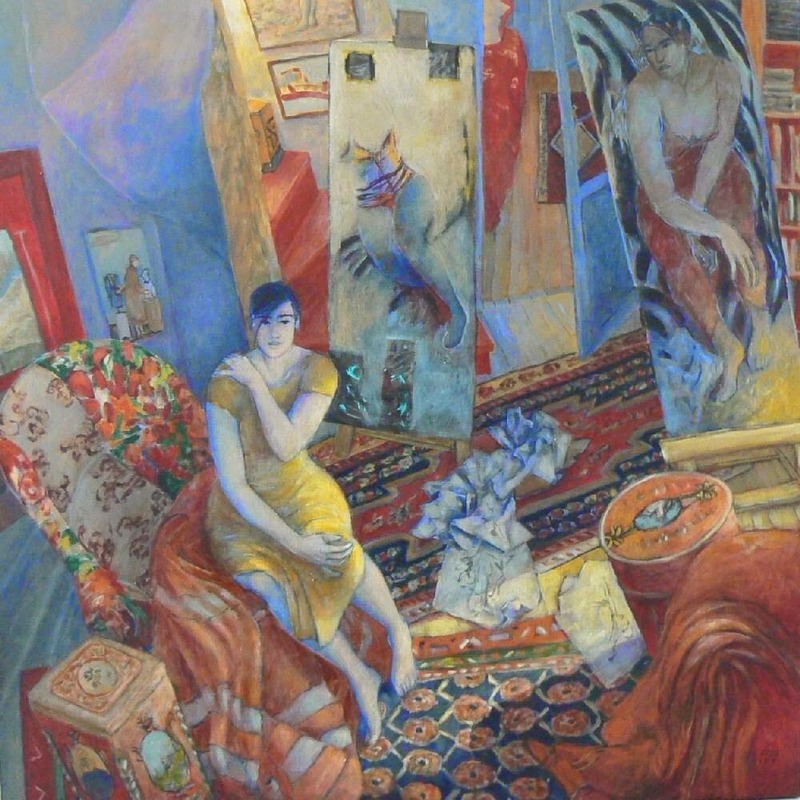 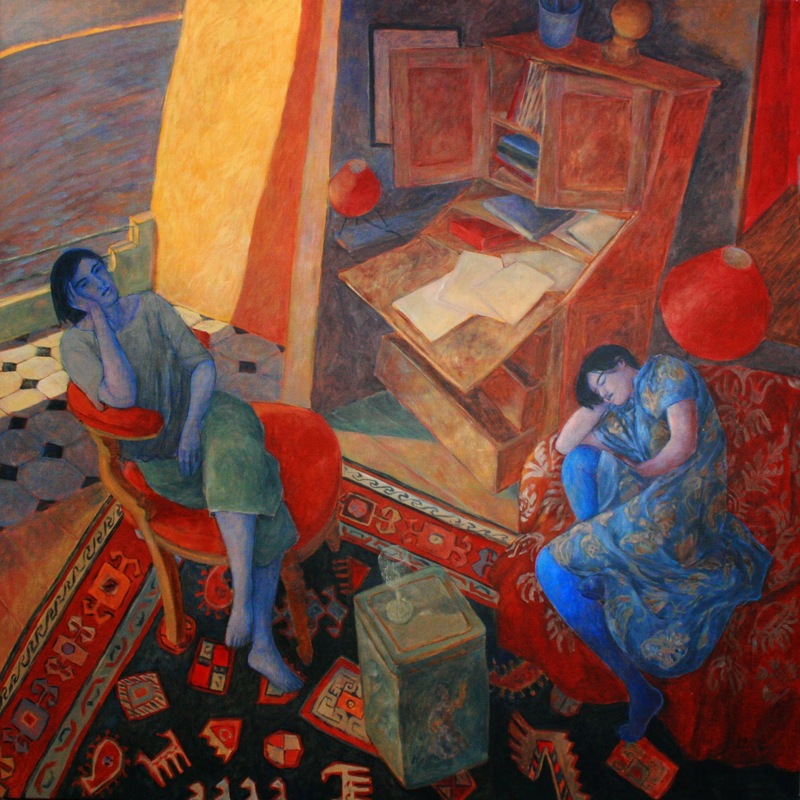 French Artist Do Fournier was born in the ancient town of Guerande, Brittany, France. 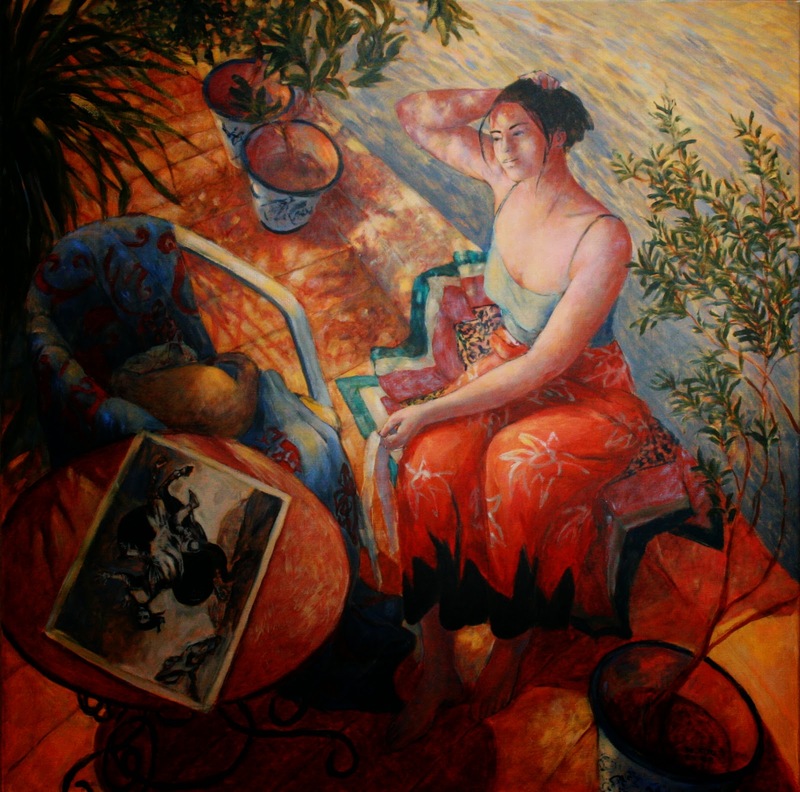 She began her career as a successful illustrator, and in 1984 changed her focus to the creation of her own paintings. 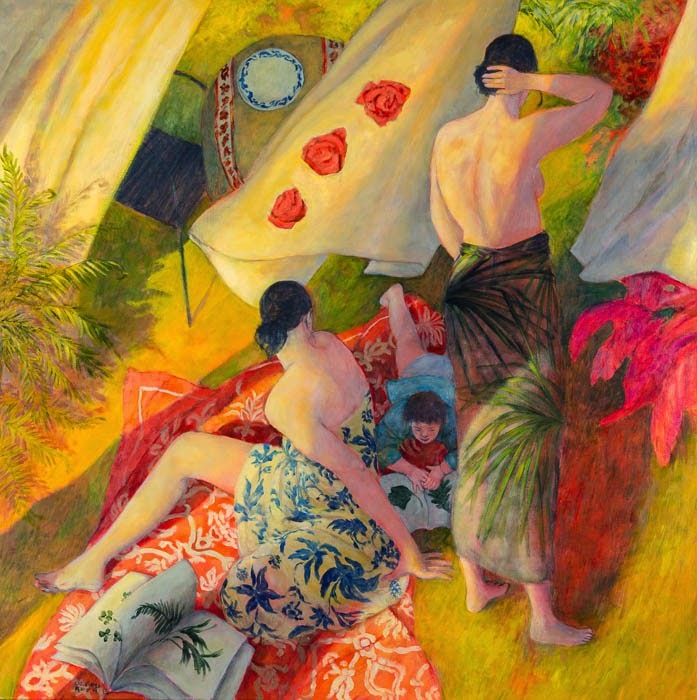 Her works were so well received, that numerous prestigious exhibitions were mounted in her native France, and she has frequently been invited to exhibit at the Salon d’Automne, Paris. 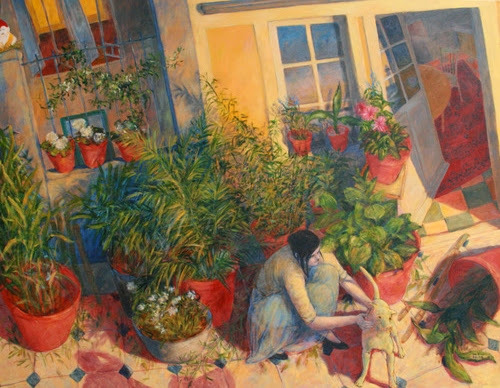 Fournier creates fantastic, colorful and intimate works drawn from the environs of her home in France, which overlooks the sea. 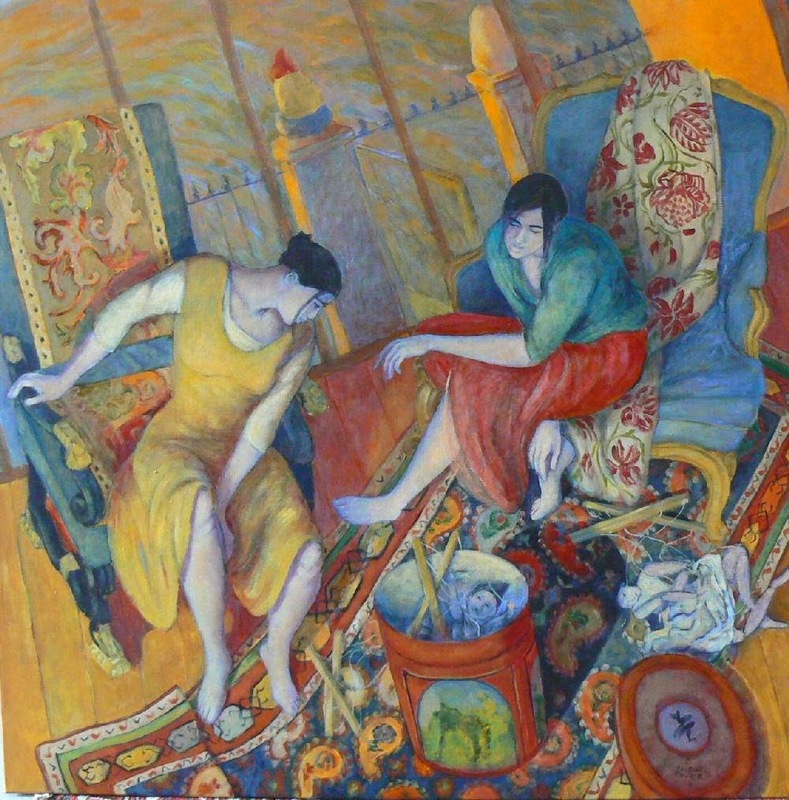 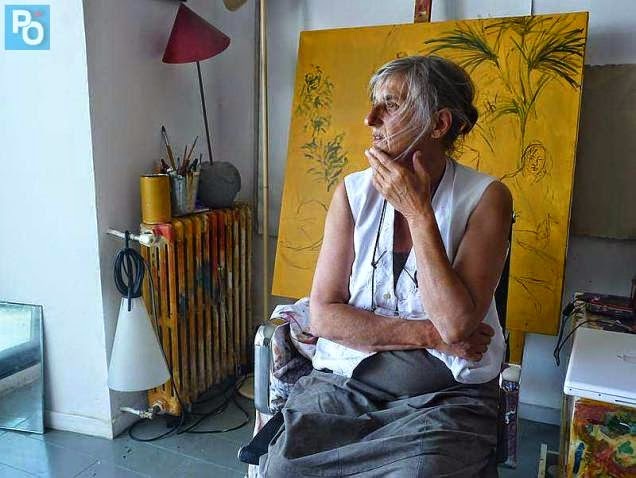 Her family and pets, as well as her collection of object d’art, rugs and textiles, are the primary subjects and inspiration for her paintings. 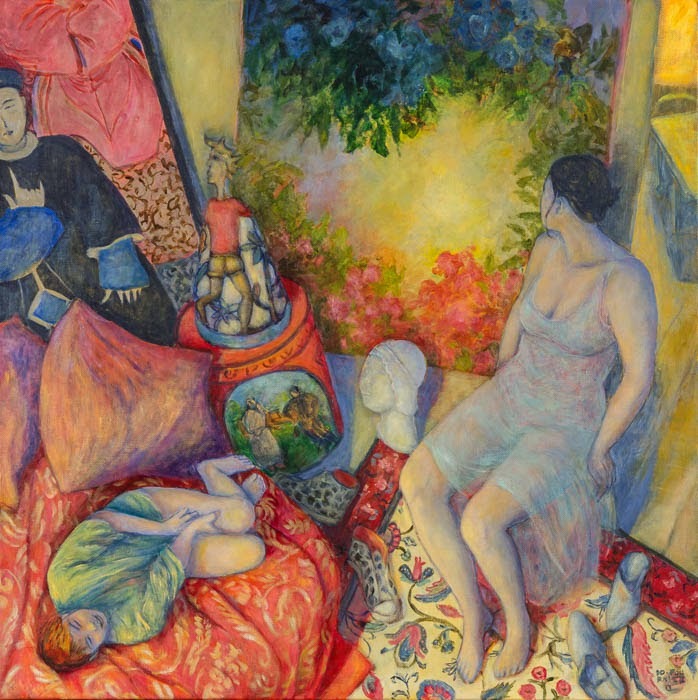 Also drawing inspiration from the 19th century painters know as the Nabis, including Maurice Denis, Pierre Bonnard and Edouard Vuillard, her paintings feature domestic interiors that have been transformed into extraordinary environments filled with color, texture and pattern. 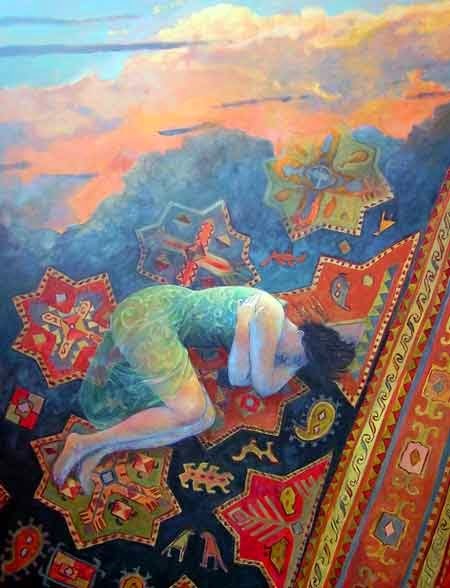 “Her approach in an uneasy society is not to describe it’s pain but the potential it still has for joy, it’s fragile moments of charm and peacefulness stolen from a routine existence. 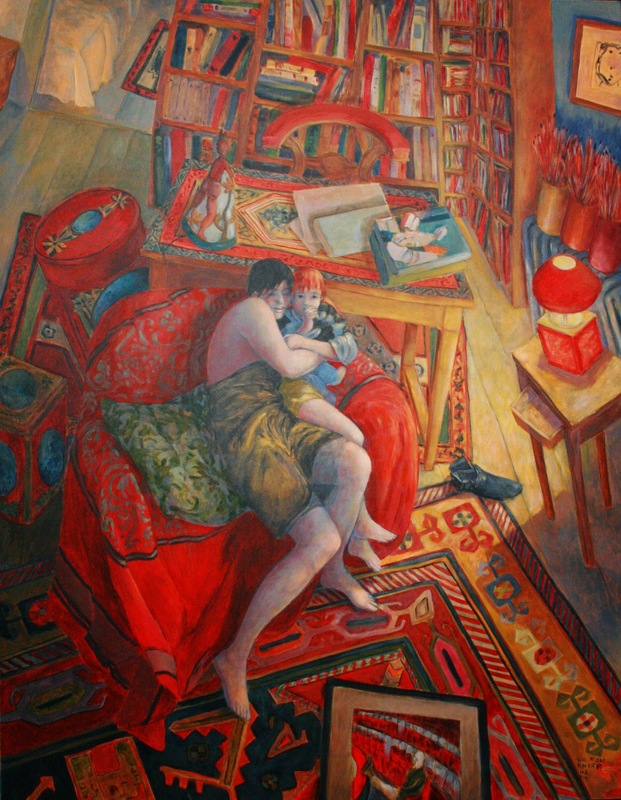 To do this she expresses reality in its most intimate, sensual, peaceful and carnal form. 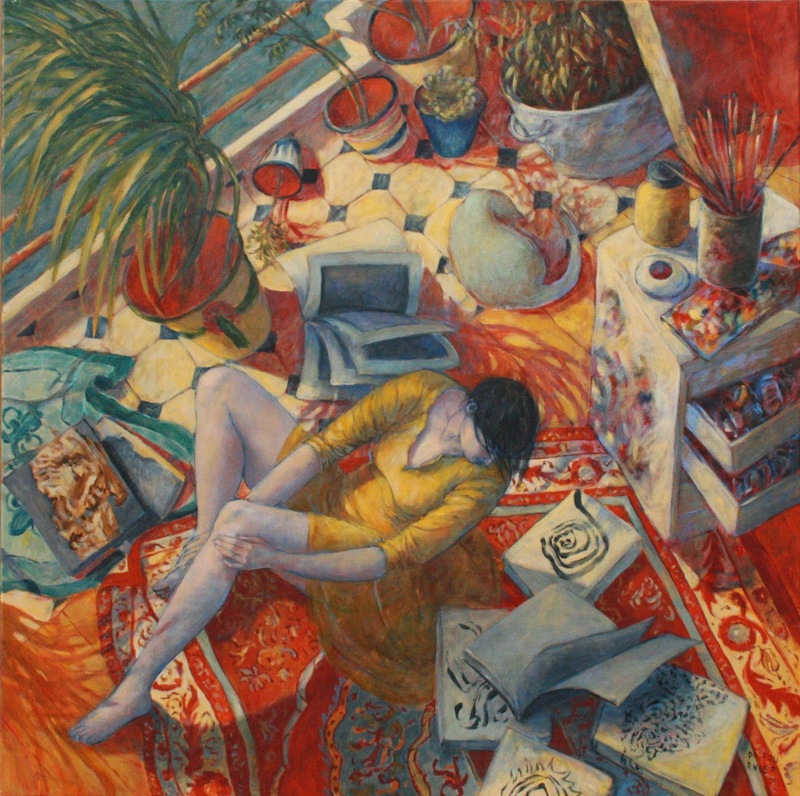 Not as imitation but as a vision filtered through her observations and cast in the exuberance of her blazing colours. 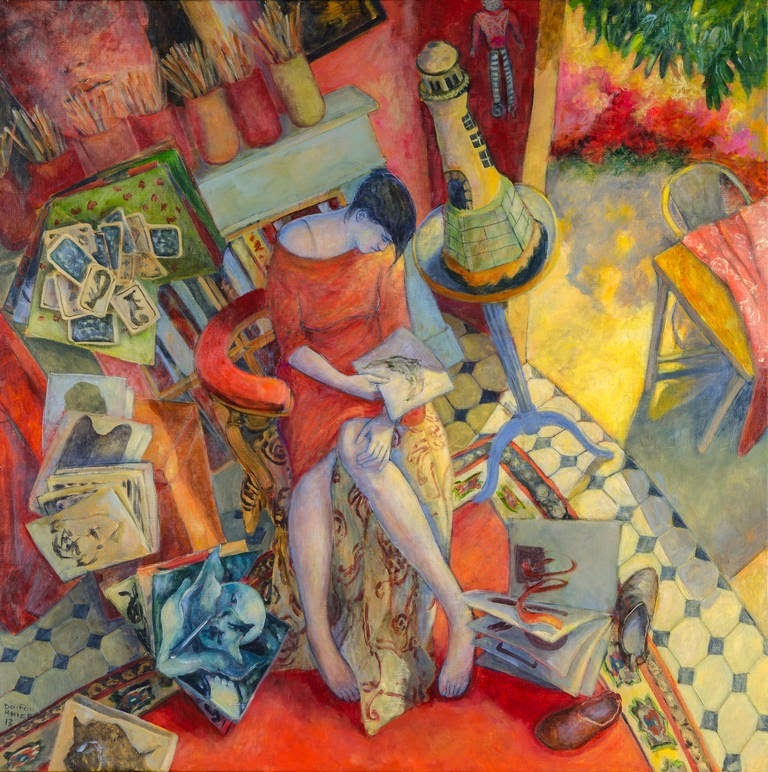 What she is trying to capture is fleeting emotion, to immobilize it and express it as simply as possible. 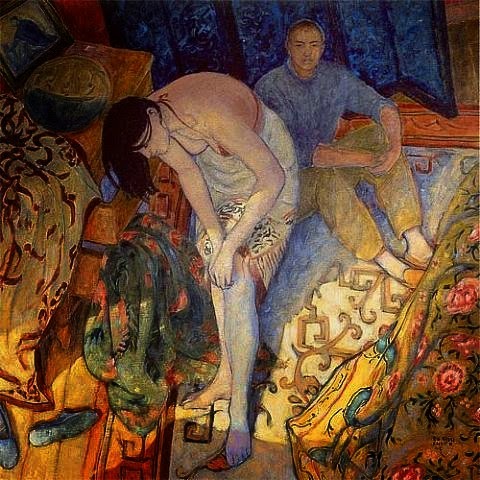 Here, as Pierre Bonnard puts it, “emotion springs up in its time. 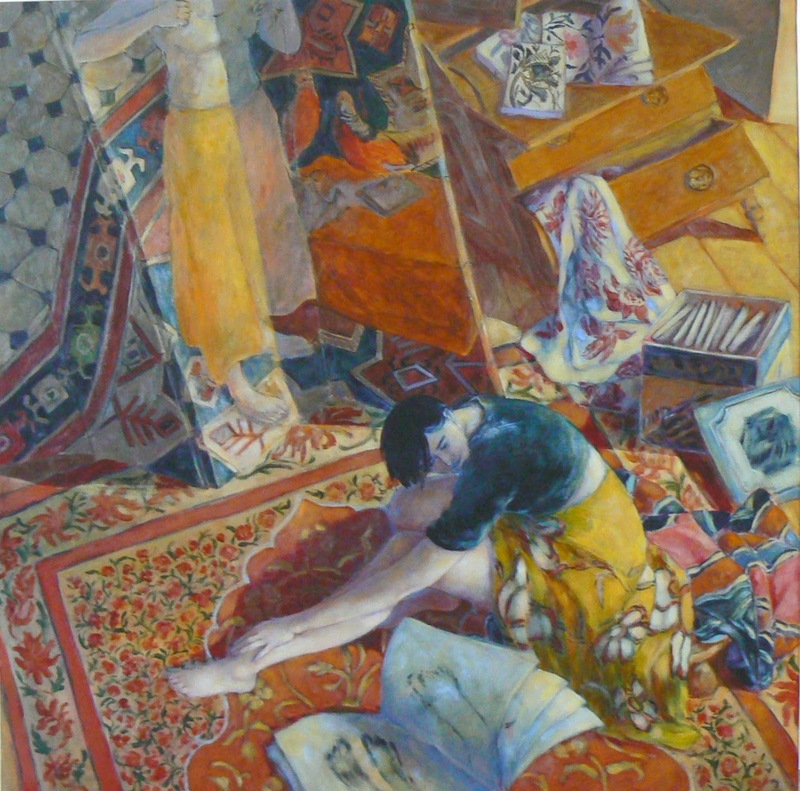 The shock is instantaneous, often unexpected.” Above all a painter of atmospheres, the art of Do Fournier occasionally takes on a baroque air laden with mixtures of color, graphical convolutions, objects negligently arranged, bodies in a state of abandonment that take us to the heart of a universe half way between dreams and the familiar. 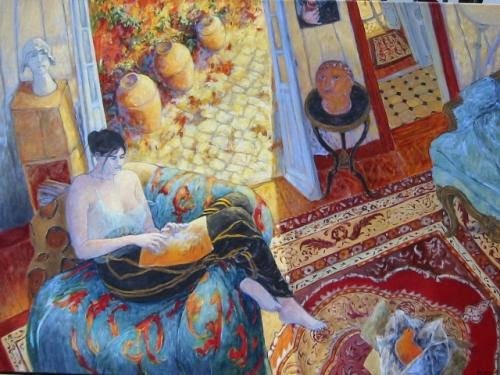 In filigree we find traces of the Nabis in the stylization of form and movement, surfaces of contrasting colours and the kitschy surroundings. 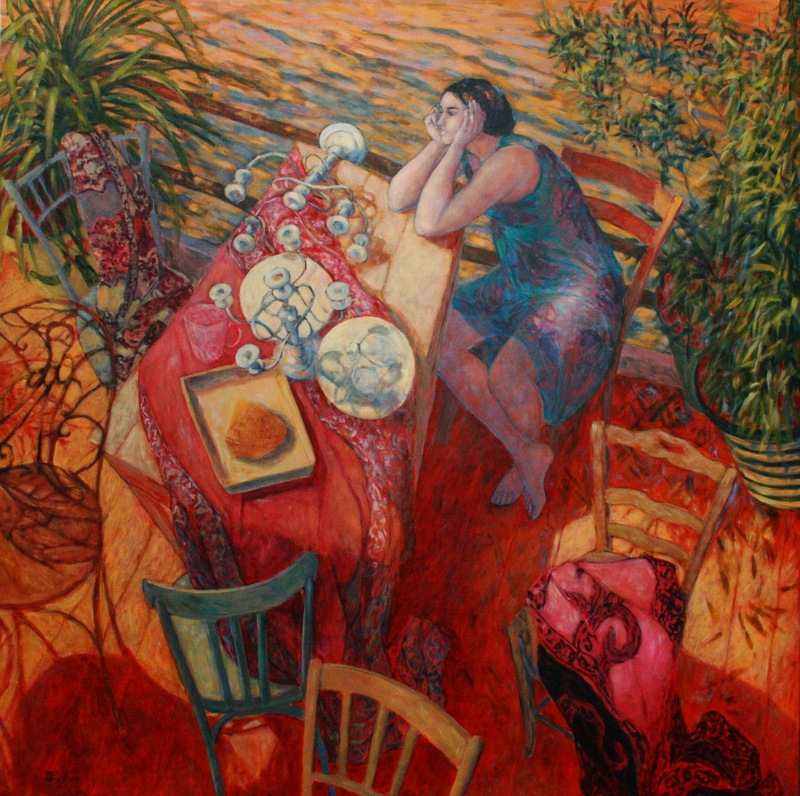 We are not looking here at some melancholy representation, but one that is refreshing and greedy for life”.